HorizonOne are extremely proud to be a long term supporter of YWCA Canberra and sponsors of the She Leads conference for the second year running. As a recruitment agency, we are on the front line and we work with large networks of female candidates at various stages of their leadership journey. It is clear to see the range of hurdles female employees face that their male counterparts often don’t encounter. Career breaks to raise families, gender bias and greater requirements for flexibility in work roles can often see women being left behind on the corporate ladder. 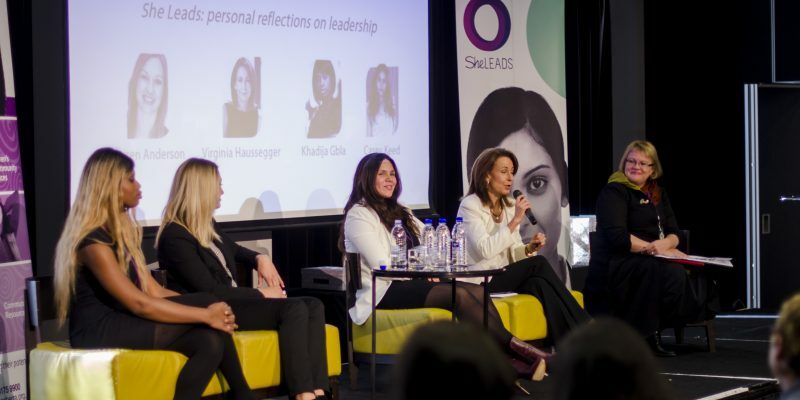 The She Leads Conference is a fantastic intergenerational event that provides existing and emerging female leaders with a great opportunity to share experiences, ideas and build strong networks. We were able to provide the opportunity for our own Office Manager to attend the Conference in 2014. It was clear upon her return that she had gained valuable insights and added confidence in her role from participating in the activities. As a mother of three children, returning to the workplace from long-term family responsibilities, it was a well targeted event for that point in her career. She was able to refocus on goals and set a plan in place for moving forward with her leadership journey. Canberra has come a long way and in a lot of respects is ahead of the rest of the country when it comes to having talented women in high level positions. However, more needs to be done to ensure this continues. We regularly work with working mothers seeking part-time hours. By approaching clients who may have been seeking a full time employee and presenting these skilled workers as a high value alternative, we can help their carer progression to continue. We help our clients to recognise future talent and ensure they understand the importance of focusing on the growth and development of their employees. By offering an environment where women feel supported, employers can go a long way towards helping women reach their leadership potential. At HorizonOne, we have some exceptionally talented women working on our team. We benefit a great deal from the innovation, energy and balance that they provide in a high pressure working environment. Flexibility of employment conditions and provision of opportunities to further personal and professional development of our team is a critical priority for us. It is this investment that will underpin the future growth and success of our business. Seeing our ladies kick personal and professional goals is incredibly rewarding – they are our future leaders and we are privileged to be part of their journey.